Thank you for reading my running blog. On 21 April I completed the London Marathon in a time of 4h31min. It was a bit slower than I hoped, largely as a result of leg cramps in the final 8 miles but it was a brilliant day and one I will never forget. It’s been a wonderful experience, the training, the support I’ve received and the distance run. I strongly suspect this won’t be my last marathon. Meanwhile, thanks to so many people’s generosity, my efforts raised well over 2000 pounds for Mencap. In less than 7 days time (21 April), I will be running my first ever marathon. It’s been a wonderful journey – the training, the encouragement and support from Juliet and so many friends and colleagues, the highs (and not many lows) of pushing myself beyond my previous physical and mental limits, the places I’ve seen, the books and articles I’ve read on running. This has been a moment in my life I will treasure and never forget. My final week of preparation will involve a few, small, gentle jogs and being a little stricter with my diet. I’ve decided what I’ll be wearing and how I’ll be recovering. If you get a chance to watch, I’ll be wearing a red and yellow top and number 42558. I’ll also have “Weezo” printed on my back. I’m feeling nervous but excited – I can’t wait! The big day will soon be here. Just two weeks and one day to go until my first marathon! It’s been a fantastic journey. The weather may not have been kind, but my efforts have been going well and the whole experience has been unforgettable. One of the highlights has to be 20 miles in driving sleet a couple of weeks ago.The support I’ve received from friends, colleagues and readers of this blog has been incredible. I am running for Mencap, to which I have a strong personal attachment, as my uncle Roy was born with severe learning difficulties. I spent a lot of time with him as a child and my life would have been very much the poorer without the contact I had with him. Last month a disturbing article about vulnerable people who suffer from learning difficulties reminded me once again why I chose this charity, and I feel incredibly proud to be running for them and for Roy. It’s not too late to sponsor me, and any support you feel able to offer, however small, will really spur me on the day, and will be going to a fantastic cause. My sponsorship page is at: http://uk.virginmoneygiving.com/PaulDCollins. I would like to mention the recent death of Mabel Cooper, a truly inspirational and kind woman who worked tirelessly in raising the issue of bullying and discrimination against people with learning difficulties. During the last few days, I’ve been tapering. As a marathon first-timer, this period has caused me some anxiety – will I be able to run the distance when the big day arrives? Thankfully, I’m not the only one to have experienced this and there are many helpful articles out there to provide some comfort. The Guardian’s Running Blog offers some useful advice. Then, there’s the post-marathon recovery – rehydration, refuelling, ice baths. What should my next challenge be – a quicker marathon, perhaps do an ultra-marathon? What I’m rapidly becoming aware of is that, having put my heart and soul into training for the marathon, I need a plan for the days after it – another part of the overall marathon strategy. So, training has been fairly gentle this week with more rest built in – 7 miles on Wednesday, 5 miles on Friday. 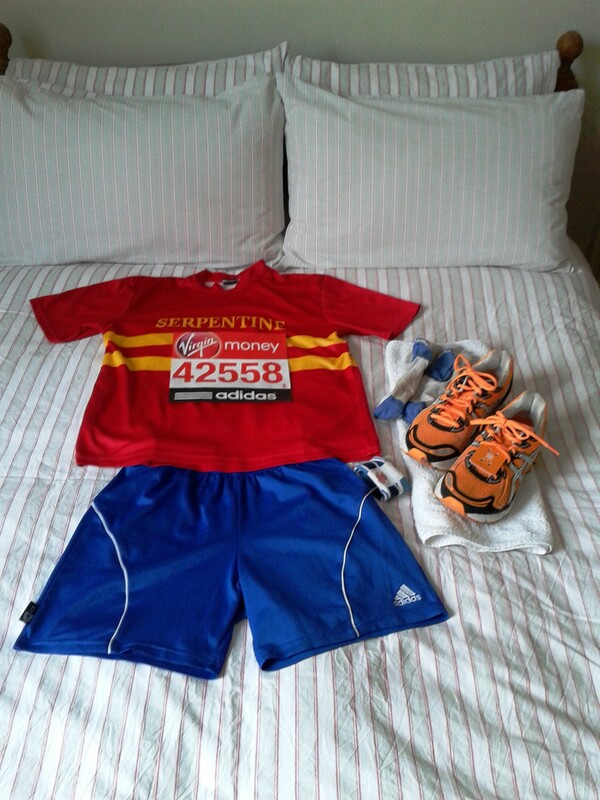 Saturday I ran the Serpentine Running Club handicap and managed to achieve a personal best! 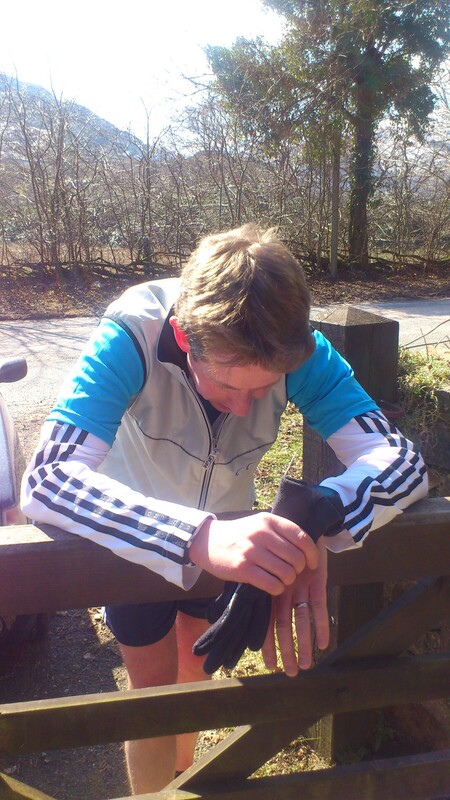 Easter day – my final long run behind me. Hooray! Hello and welcome to my running blog. After last Sunday’s wet and windy 20 miles in Hyde Park, I was looking forward to the Easter break and a change of scene, hopefully with some much-missed sunshine. Tuesday, Juliet and I drove up to North Wales (Snowdonia). Anticipating ice and snow drifts, the journey was one of the most spectacular we’ve ever experienced. Once we left London, our journey was one of bright sunshine and snow-covered mountains – stunning all the way! After Wednesday’s day of walking along the coast and taking in some refreshing sea air, Thursday was my first run of the week – around 8 miles (flat) around the village of Beddgelert. Friday was 30 minutes of gentle running, followed by a walk along the route of an old copper mine. Spectacular weather again. Some brave souls were running up the mountains – r.e.s.p.e.c.t. Saturday was another coastal walk and discovering more of the beauty of North Wales. Today (Sunday) started with an uplifting service at the local church and then the moment that I had been waiting for/slightly dreading – my 20 mile run. Juliet and I had been trying to work out a route that would not be too hilly or cause too much strain. 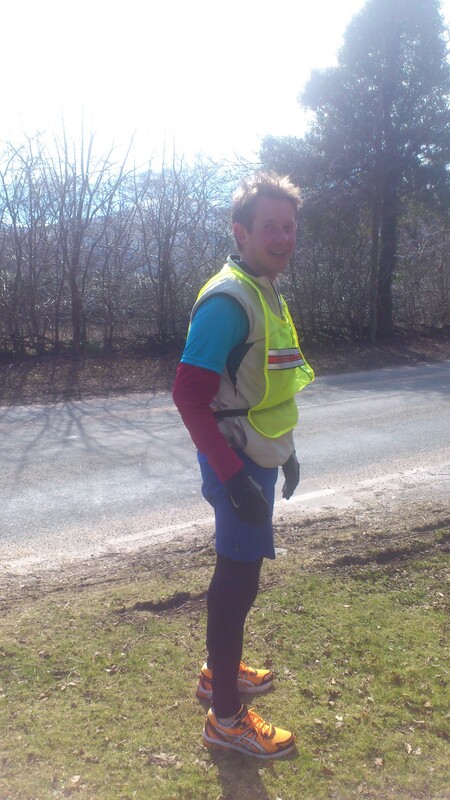 In the end, I ran for nearly 3 hours – some parts fairly hilly but generally flat. It was a run surrounded by stunning scenery and wonderful weather – the ideal tonic. This will be my final long run before I start tapering in time for the London Marathon on 21 April. The wintry weather we’ve been experiencing in London this week has made training runs quite trying at times. I started the week on Monday with a 4 mile recovery run. Tuesday’s yoga session sorted out a big of leg stiffness and cleared my head. 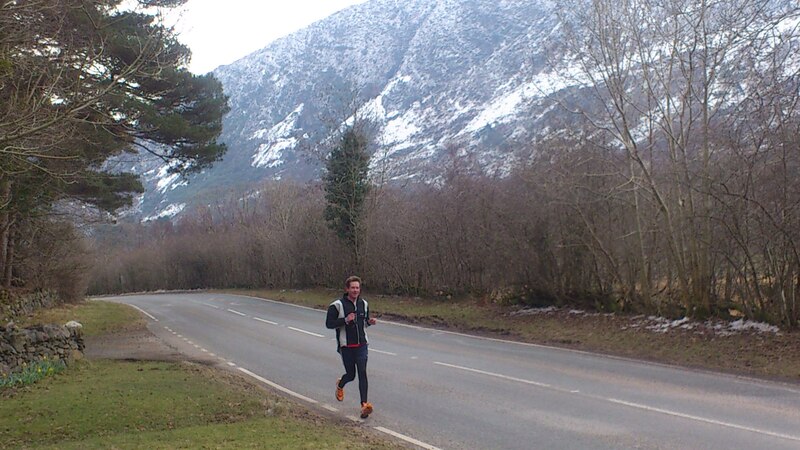 Wednesday afternoon’s run was 8 miles, marathon pace in hail, snow and an icy wind. Friday was another gentle run, 4 miles (snow). Last night (Saturday) I attended the birthday party of one of the most inspiring members of the Serpentine Running Club – Edwina Brocklesby. It was held at an incredible venue – the Churchill War Rooms. The band (Jacque Rabbit) were brilliant and we all had a good dance! Eddie is a real inspiration to us all and she has recently launched a charity that will inspire many others – Silverfit. Fuelled with porridge and strong coffee, Sunday morning was time for the Hyde Park 20 – the perfect preparation for the London Marathon. It was another trudge in sleety conditions (warmer gloves for this one!) – 5 laps of familiar territory. Overall it was a satisfying run in foul conditions, although the pacemakers were a little off-pace! A relaxing afternoon awaits and, later, a night out with friends at Ronnie Scotts for the monthly Tap Jam. Really looking forward to next week’s relaxation and wonderous walks in Snowdonia. Have a great week and keep safe.